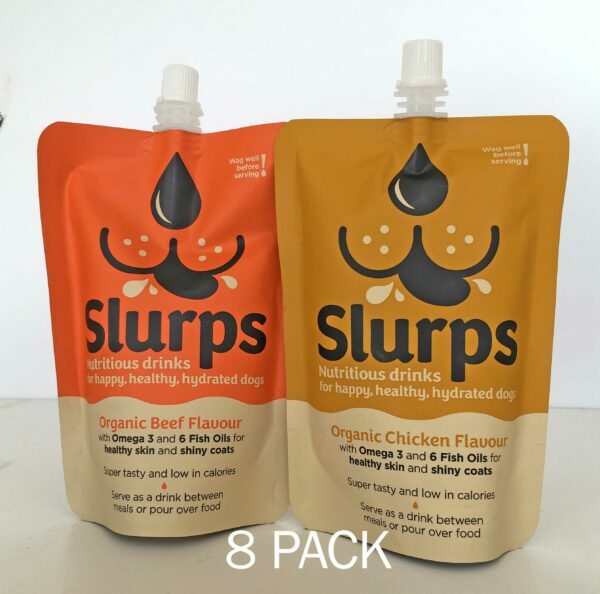 Ruby (our Executive Slurper) is left-pawed but when it comes to flavours, she’s ambidextrous! 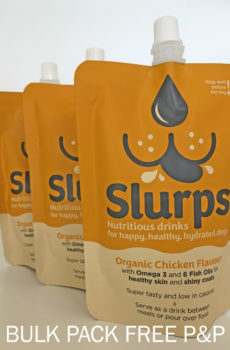 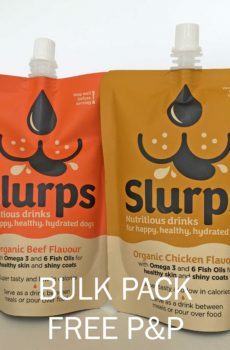 Here is her mixed pack of Slurps containing 4 x Organic Chicken and 4 x Organic Beef 250ml pouches. 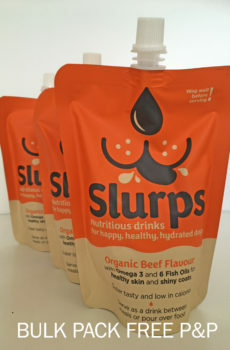 It has a Ruby big paw of approval stamped on it (hypothetically)!